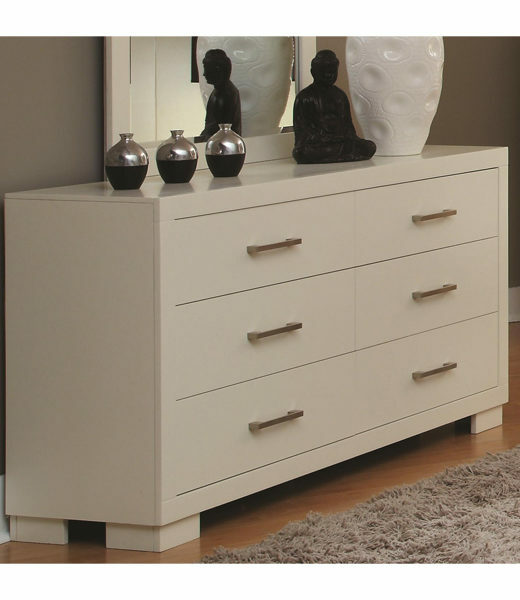 A modern style dresser with clean lines and a crisp white finish. Metallic hardware and six spacious drawers. Optional mirror. silver tone bar handles come together to create a sophisticated style. extension drawer suspension for ease of use and a long life. 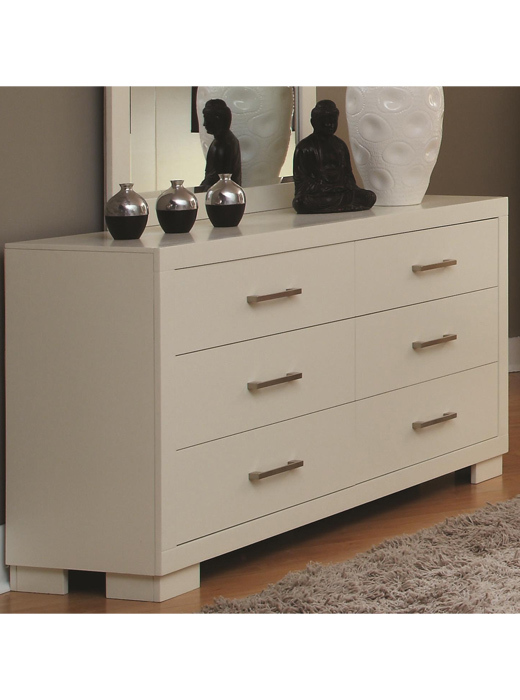 Add these sleek contemporary pieces to your bedroom for a unique look that you will truly love.